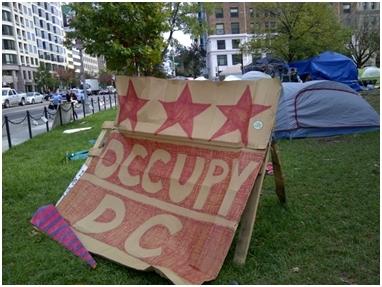 Since mid-September, demonstrators from the international Occupy movement have inhabited US city parks to protest social and economic inequality. As the weeks pass, outdoor temperatures decline and sanitation conditions worsen, health officials are concerned that camps have become breeding grounds for disease. Protesters should heed basic principles of sanitation and take precautions to avoid spreading illness. The New York Times reported (November 10) the New York City Health Department was monitoring conditions in Manhattan’s Zuccotti Park, the center of the Occupy Wall Street movement, a site from which protestors were recently evicted. The Times reported Dr. Philip M. Tierno, Jr. of the New York University Langone Medical Center believed conditions in the park could leave park-dwellers susceptible to respiratory viruses, norovirus and tuberculosis. The article concluded with a quote from one of the protesters, who boasted, “We’re the biggest tourist attraction in New York, and we shake everyone’s hands.” This statement raises a red flag among public health officials and epidemiologists. Wash Hands: Proper hand-washing is one of the best ways to prevent the spread of infection. This very simple activity, says CDC, has the potential to save more lives than any single vaccine or medical intervention. The Times article notes that hand sanitizer had appeared in Zuccotti Park. Hand sanitizer is acceptable if soap and water are not available, but according to CDC, hand sanitizers are not effective when hands are visibly dirty. Get a Seasonal Flu Vaccination: CDC states that flu is a serious contagious disease that can lead to hospitalization and even death. A yearly flu vaccine is recommended as the first and most important step in protecting against flu virus. Whereas some protesters in Zuccotti Park welcomed free flu shots when a local health center offered them, others refused vaccinations, according to The Times, citing a government conspiracy. The 2011-2012 flu vaccine will protect against three influenza viruses, including influenza A (H1N1) virus. Avoid Close Contact with Sick People (and take precautions to avoid contact when you are sick): It is very important to cover the nose and mouth with a tissue when coughing or sneezing, and then throw the tissue in the trash. Avoid touching the eyes, nose and mouth. Close living quarters contributes to the spread of respiratory infections. One such infection, “Zuccotti Lung,” has appeared among New York protesters. In a news video, a doctor compares crowded park quarters to those of a cruise ship, raising the risk of the spread of intestinal and respiratory viruses. It is important to limit contact with those who are sick. Proper Sanitation: Even though conditions are better than exist in encampments set up for refugees from both human-caused and natural disasters around the world, basic sanitation (e.g., safe water supplies, sanitary disposal of human waste, readily available facilities for washing, food sanitation and disinfection of food preparation surfaces) are critical for proper hygiene in city park camps. Doctors warn conditions in parks could leave Occupiers susceptible, not only to respiratory viruses, but also to norovirus, the winter “stomach bug” that can cause vomiting and diarrhea. In an outbreak situation, these symptoms could quickly overwhelm limited bathroom facilities in encampments. In conclusion, while Occupiers exercise their right to protest, they must also make public health a priority. Fred Reiff, P.E., is a retired official of the Pan American Health Organization, and lives in the Reno, Nevada area.